The winners of the Hobie World Cat 2016 Daniel & Nicolaj Björnholt from Denmark, who were participating at the Youth Americas Cup in Bermuda, will take part at this year’s Hobie World Cat. For Australia are invited Cam Owen and Susan Ghent, the current Hobie 16 Australian National Champions and Hobie 16 Western Australian Champions. Ingo Delius and Sabine Delius-Wenig, 4-time Kieler Woche winners, 2-time European Champions and 3-time European Champions in the Hobie 18, will also compete against the world’s best Hobie 16 sailors. 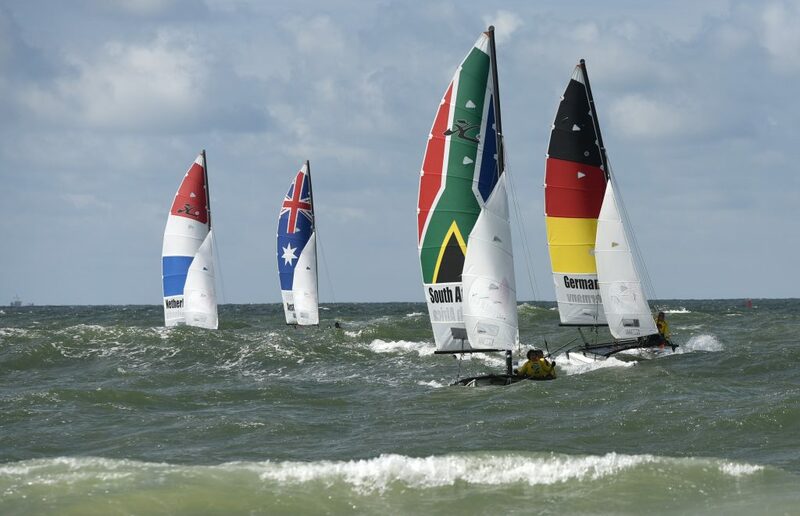 Each boat of the 8 teams is branded with the national flag, so it will be easy to see who is leading the Hobie World Cat in the surf of Westerland. The North Sea is not commonplace for many teams and requires the highest level of skill. But the world, continental and national champions are not invited without a reason the Hobie World Cat 2017. 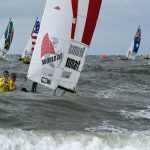 The Hobie 16 is the world’s most used catamaran sailing class and the World Cat competitors offer the spectators on Sylt six days of spectacular racing daily. From 12:00 hrs onwards, the races will take place in the immediate vicinity of the beach, so that anyone who is interested can get a close look at the races from the beach promenade. Accompanying the races are two professional presenters. The big closing ceremony and price giving of the Hobie World Cat 2017 is the official conclusion of the Sylt Sailing Week 2017. In addition to the sporting highlights of the week, which are hardly to be missed, the promenade of Westerland at the Brandenburgerplatz is a meeting place for treats from scampi, fish, flame cake to the hot dog and Bratwurst. In addition, delicious drinks and an entertaining show program in the event tent.